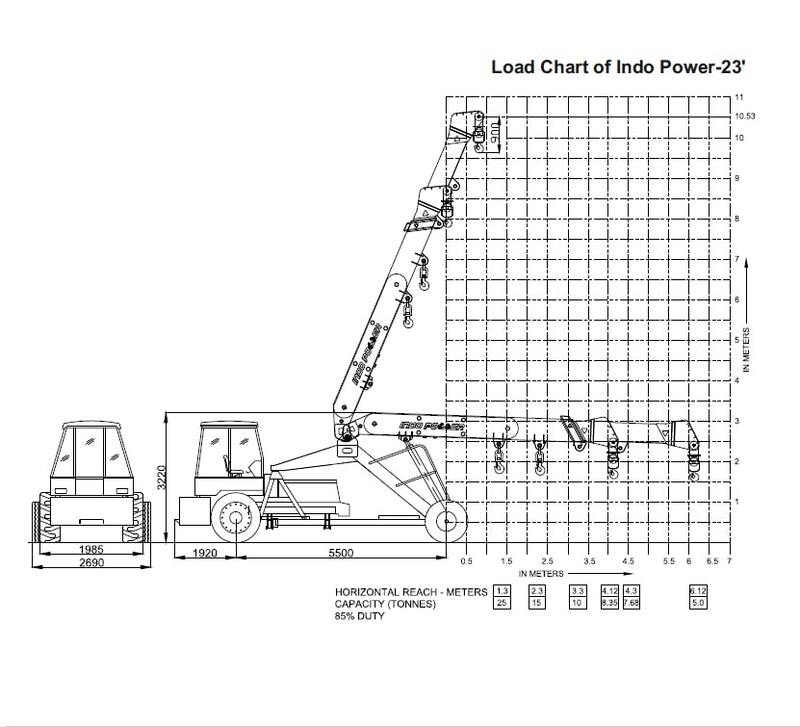 Model & Type Indo Farm; Four Cylinder, Water Cooled Diesel Engine Rated power 85 hp max @2200 rpm. Type Heavy duty constant mesh transmission for crane application. Eight forward and two reverse speeds with high and low selector. Hoist Eight falls with fail safe brake.